West End stars Gina Beck, Daniel Boys, David Burt and Eve Polycarpou have opened in a major new production of the hit revue Jacques Brel Is Alive and Well and Living in Paris at Charing Cross Theatre for a strictly limited season. Often haunting, sometimes funny, heart- wrenching and vividly poetic, the songs of Belgian Jacques Brel – from Jackie and Amsterdam to Ne Me Quitte Pas and Carousel – explore the human condition through honest storytelling, with themes of joy and sorrow, love and loss, war and peace and life and death. Directed by Andrew Keates, whose acclaimed production of Dessa Rose has just finished a sellout run at Trafalgar Studios, the musical revue is one of the greatest works by one of the most prolific singer-songwriters of all time. The show features the definitive English translations of his works by Eric Blau and Mort Shuman and fresh orchestral arrangements by Eric Svejcar from the award-winning 2006 Off Broadway production. That production was the longest running and most successful revival of the show, nominated for several awards including the Drama Desk, Drama League, and Outer Critics Circle. Award-winning Daniel Boys became a household name while appearing on BBC’s Any Dream Will Do in 2007. 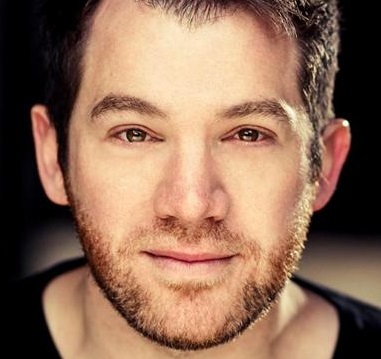 Since then he has starred in several West End musicals including three years playing the central character of Princeton/Rod in Avenue Q (winning him a Whatsonstage Award) and as Sir Lancelot in Spamalot. Olivier Award-nominated David Burt is one of the West End’s most respected and in-demand leading men while Gina Beck recently starred as Glinda in Wicked. Eve Polycarpou recently starred in the central role of Abuela Claudia in the UK premiere of In The Heights (for which she was nominated for an OFFIE Best Actress Award) at Southwark Playhouse. Jacques Brel Is Alive and Well and Living in Paris runs until November 22.